Whether you're building your new home or renovating your old one, it's quite a journey and will have you discover who you are, how you want your life to be, and what you want for your home and family. It isn't just about building a certain number of bedrooms and bathrooms but also learning about your sense of style. It may be daunting for those who are new to creating a new home, though. That's why it's important to do the right research and planning. But where can you start? Read on as I show you how to create your dream home in a few simple steps! 1. Where Will Build Your Home? For starters, where do you plan on building your home? You can opt to find fresh land or an old home you can bulldoze or renovate. There are thousands of lands for sale online, so begin your search form there in your ideal location. Look into the practical side when choosing where to live. What's your budget? Is it near your work or children's schools? Is the community friendly? Also, ensure that the land is ready for construction! • Where do you want the home to be? • What exactly do you want to achieve? • How much will the entire project cost? • Can you achieve your dream home? • Does your entire plan make sense? • What's your backup plan? Once you have the place and goals set, it's time to arrange the funding and to fix your budget. Begin with what you can afford and how to fit the costs within your overall plans and budget. 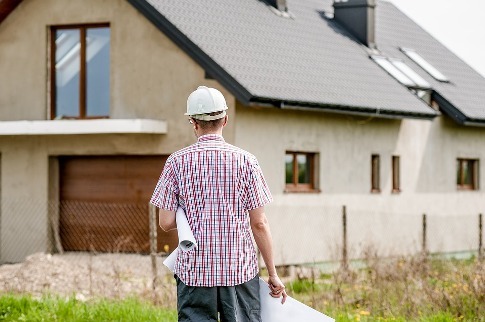 When you're ready to get detailed with how much it will take, make sure that everything goes into the project, from the land's cost, the local taxes and fees, your team's professional fees, and the construction of your home and landscape. As tempting as it is to do it alone to save money, you'll end up wasting a ton of time and energy in the long run, even spending more if any mistakes are made! It's almost impossible to do it alone unless you're that skilled, which is why it's best to hire a team composed of an architect, builders, interior designers, an engineer, and planning officers. You might want to consider hiring more team members as you move along. If you want to learn more about designer and drafting prices click here! You're not done planning yet! It's time to build your dream home on paper. This is the crucial part of any building project, as it prevents any slips and confusion in the long run. When planning and building your home, explore all the possibilities and risks, creating a plan B and ensuring all details are carefully planned. Also, make sure that you go big and to not go mediocre as you plan, creating the beautiful home you've always wanted. Now, you're ready to commence the building. You've already sweated the small stuff and planned it all, so everything will come smoothly, right? Unfortunately, there are some slips that can happen along the way. That's why it's important to stay in touch with your team for updates. If ever something does come up, stay calm and as much as possible, stick to the plan. Once everything is done and built with all the furniture in, it's time to enjoy the glory of your hard work! Invite your family and friends for a house blessing and celebration. Revel in your new home and begin relaxing with your entire household, because it's your new home and you get to finally call it yours after all that time and money well spent. You don't need to go into so many steps in order to build a home. Instead of wasting time stressing over the small stuff, start by implementing the efficient steps to have the beautiful end product in no time (and without spending a ton of effort and money!). Hopefully, this article on how to create your dream home in a few simple steps gave you an idea on where to begin. So don't wait any longer and start following these steps for a brand new home now! If you have any questions or want to share your tips and experiences on how to build a new home, then comment below. Your thoughts are much appreciated.